Online learning can be one of the most beneficial ways of accessing various types of education, at an affordable cost. Have you heard of Udemy? I’d like to give you my Udemy courses review. The simple truth of who they are, what they offer, and my recommendations. Because Udemy is a global marketplace, you will find courses in a vast selection of subjects, from lifestyle to music, business, fitness etc. But for the purpose of this article, we would be focusing on marketing courses. First, let me share with you how Udemy got started and where they are today. Would you like to see where I received all my online training? 3 How Much Will This Cost Me? Co-founder Eren Bali, grew up in a small Turkish village and attended a one-room schoolhouse. When his family finally got a computer, his love of chess and mathematics fueled him to access learning resources from all around the world. Udemy has since then served 20 million students, houses 65,000 courses, lists 30,000 instructors in over 50 languages. This video is cute…only 1min 15sec. Udemy is a global marketplace of online courses, for students who wish to learn from a myriad of subjects. You’ll find a little of everything there, to suit many interests. And it grows each year as more and more courses are added. The courses offered are a combination of lectures, videos, text and sometimes presentation slides. Be sure to note that these courses are not like traditional courses you would attend in a physical school or accredited online school. These are self-paced courses with no accreditation, but can still teach you an abundance of knowledge in your given subject. You do receive a certificate of completion, to share your accomplishment with others, if desired. An important factor in today’s style of learning is that you can access your courses on different mobile platforms and apps, as well as Apple TV for the audio/video lectures. Udemy offers instructors the option of adding their own courses and earn income. They encourage you to teach what you know, or what you love. They provide multiple formats that you can use to teach in the style that makes sense for your topic. landing page with a well-written detailed course description, bio and profile image, target audience, etc. As an instructor, you can apply to be a “premium instructor” if you want to charge for your course. There are certain recommendations according to your experience, course length, and course categories. There are a minimum and a maximum amount you can select. Sometimes nothing! It’s free to sign up and you will find a significant amount of free courses. This doesn’t mean they are inferior. In fact quite the opposite. Udemy requires a higher standard from the instructors believing it will persuade students to return if they had a positive experience. So why are they free then? Because a new instructor may be wanting to brand themselves (get themselves known) and attract a following before he or she starts charging for their courses. The remaining courses run from $19.99 to $199.99 US. You will often find Udemy, or the instructor themselves, offering discount prices. Just recently I was able to purchase 2 of their most expensive courses because they discounted all their courses for St. Patrick’s Day at $14.99 CA. for the purposes of marketing, very difficult to find courses for all the different aspects of online marketing. if you do find enough courses to get you started, it’s will become very expensive. difficult to determine the instructor’s expertise. Udemy relies on student reviews to determine this. different courses may contain a lot of overlapping material. because each student is taking their course at different times, the questions posed on the discussion boards may not be answered for some time. teachers may create courses for income and not necessarily be available for support. My concern for anyone wanting to learn online affiliate marketing is the need for step by step instruction, with an abundance of support. When looking through the affiliate marketing courses available, there will undoubtedly be considerable overlap of information. You would need to take several courses in hopes of learning all you need to know to get started. Another concern is the lack of continuity because of the different teaching styles of each teacher. And then there’s the potential lack of readily available support, both from the discussion board and the teacher. As a beginner, it’s vitally important to learn each step, to build on that knowledge, then continue to the next step. Personally, I use Udemy for supplemental information, that enhances my business. 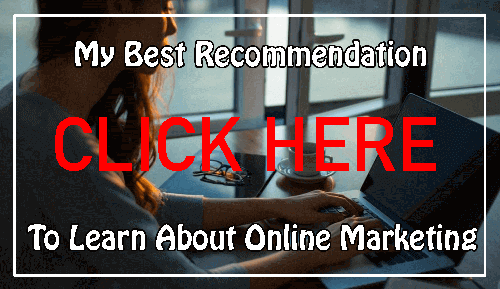 If you are already an online marketer, then, by all means, take a look at Udemy. My recommendation for someone just starting out would be to join a community of like-minded people, who can “take you by the hand” to teach you all you need to know. I am a member of such a community, and learning was both affordable (or free, depending on the amount of education you desire) and easy to understand. They are called Wealthy Affiliate, and they are an all-inclusive platform. They offer certification courses that take you step by step. You earn while you learn because you are up and running in phase 1. They also offer all the tools you need to build and host websites, keyword research tools, analytics, writing tools, and the world’s largest “live” community for support. The courses are all done by co-founder Kyle, so you get a consistent teaching style. He’s an excellent teacher who is easy to understand and learn from. And if need be, you can contact him directly with any concerns. Members can sign up for free, no credit card needed. With your free membership, you get 2 free websites and access to phase 1 of the certification course. It covers everything you need to start your business. If you choose the premium membership, they offer the lowest membership price you’ll find online. Please read my review here. So why not check us out? You have everything to gain because it’s free! And absolutely nothing to lose but a few hours of your time. Have you ever used Udemy? What course did you take, and did you like it? I’d love to hear from you in the comments below. And please share this post with anyone you know who would be interested. ← What Is Product Branding? Is It Really So Important? This is a good review of Udemy, Suzanne. I have some experience with them. That’s where I took a few courses before I finally landed at Wealthy Affiliate. I agree if you need more knowledge on a certain subject even though it’s not accredited you can learn the knowledge often times for free. Hi, Fred, and thanks for your comment. They do offer some good courses. And some of the instructors do more than one course. What I like is that they’ve been offering some incredible prices this year. So it makes them very affordable. Great article on Udemy, Suzanne. I am in total agreement with everything you wrote. I have bought courses on Udemy – free and paid – and everything is just as you wrote. It is a great avenue for alternate non-traditional learning and the best thing is the convenience of it all – it is open 24 hrs a day! Thanks for this article and I will certainly share it with others. Great job. Hi Michelle, and thanks for your comment. It’s a great place if you need some training in a specific area. And the sale prices lately have been incredible. What I appreciate is being able to download a course so I can look at it in places that don’t have an internet connection. Otherwise, your courses are kept in your account for viewing at any time. Hi Brandon. I try to be thorough and give my honest opinion. No they don’t provide academic credit, but some of the courses can be very good. As I said, I would use their courses to supplement, but not to learn starting a business from scratch. Wealthy Affiliate is the best place to do that. Great post, accurate, and honest! Thank you for posting! Hi Sarah, and thanks for your comment. I certainly try to be as accurate as possible. It certainly helps that I’ve taken a few of their courses too!